Virgin Mobile USA today announced that the Samsung Galaxy Reverb may now be preordered from its web site. The Reverb costs $249.99, but does not require a contract. Virgin expects the Reverb will ship on or about September 19. 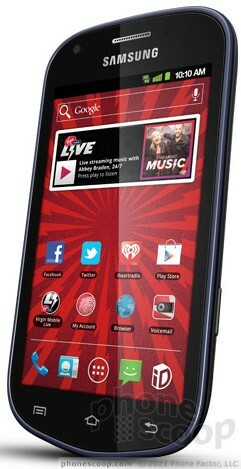 The Reverb runs Android 4.0, has a 4-inch touch display, and a 5-megapixel camera. Virgin Mobile USA, which is owned and operated by Sprint, transformed itself today into new provider much more closely aligned with the Virgin brand. Significantly, Virgin Mobile USA is now an iPhone-only carrier, meaning Apple's iPhones are the only phones Virgin will sell moving forward. Essential Products today began emailing customers who preordered the PH-1 smartphone with news of the device's imminent arrival. "Great news, your phone has been built!